When you announce your engagement be prepared for all the advice and “I wish I would have” ‘s from all your relatives and friends. Its a time honored tradition for those close to you to want to learn from their mistakes. 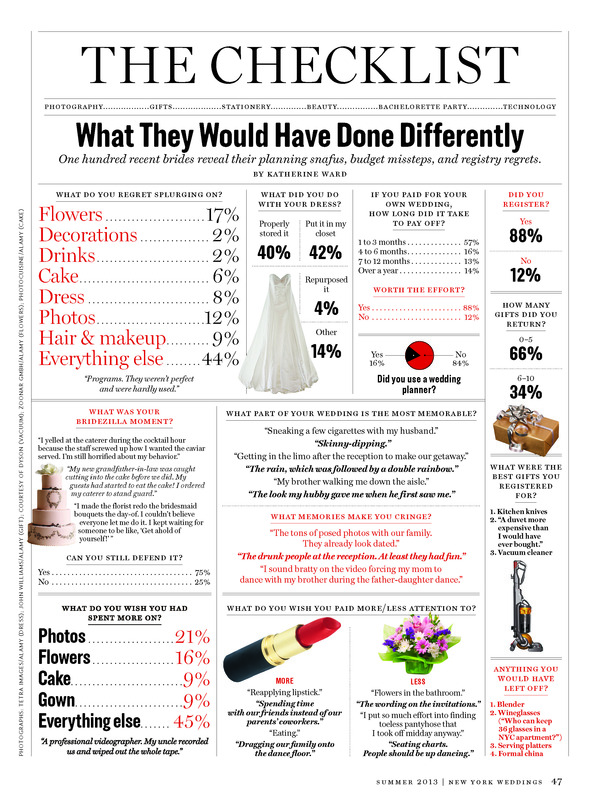 So here is an outside perspective from Huffington Post on what recent brides would have done differently.